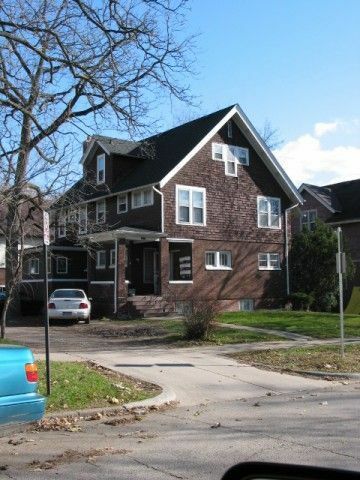 1015 Church St, Ann Arbor, MI - Campus Management, Inc.
First floor one bedroom apartment. Beautifully remodeled kitchen and bath. Kitchen features built-in dishwasher and microwave. Apartment has both front and rear entries. First floor one bedroom apartment. Recently updated bathroom. Nicely furnished living room. Lots of windows and both front and rear entries. Second floor one bedroom apartment - carpeted throughout and nicely furnished. Very spacious bedroom. Front and rear entries. Coveted attic apartment with large living room and bedroom and updated bath. Vaulted ceilings and cool interior staircase.